If you have a lot of student assignments to mark, and especially if many of them have been handed in on paper, then Epigrammar is going to be a great tool for you. Epigrammar has been designed to take a lot of the sweat and monotonous repetition out of homework marking. Basically, what Epigrammar does is enable you to create classes for your students where you or they can upload their homework assignments and you can add comments to them. That doesn’t sound so unusual, but Epigrammar can also allow you to create a bank of comments that you can reuse so that you aren’t having to write the same thing over. 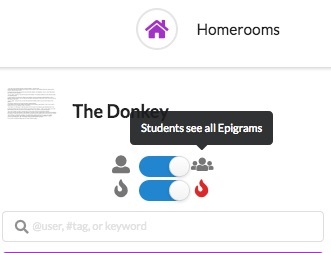 Another great feature of Epigrammar is that it isn’t restricted to text type documents, so if your student has done their homework on paper or even if their homework is a sketch or painting, you or they can take a picture of it, upload it to the platform and then you can add comments and marks. Another nice feature of Epigrammar is that you can make some assignments ‘shared’ so that students can see what their peers have uploaded and even add their own comments and suggestions. The other great time saver though is that at the end of the term or semester when it’s time to write up a report about your students’ work, Epigrammar can automatically generate suggestions for these based on the comments you have made on their written work. Then all you have to do is drag and drop in the ones you want to use and edit them. To get started, you just need to register and then set up a homeroom. Once your homeroom is created you can generate an invitation code and students can then use this to register on the site. This code adds them to your class. You can then either share documents for them to comment on, or they can upload their work to the site for you or their peers to comment on. 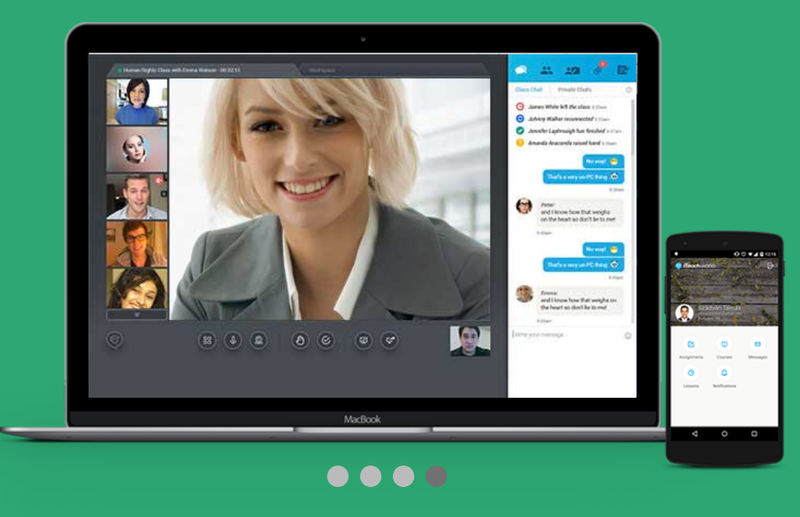 Comments are added by dropping coloured pins on the document and then writing in and saving to the right of the screen. All of these comments then become visible to the student(s) on the left of the screen. It’s clear that the more you use Epigrammar the more time it is likely to save you and the more efficient the whole process will become. A bonus feature of the site is that you and your students will also be creating a form of e-portfolio that will enable you and students to look back over their work and assess progress. 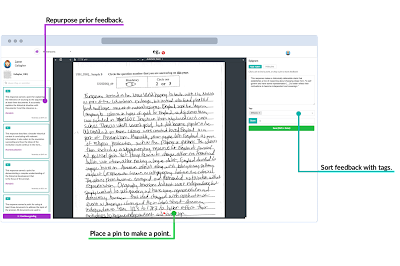 Epigrammar has a free subscription which should enable you to test it out with a group of students, but to be useable at scale you will need to subscribe. The price though seems very reasonable when comparing to the value of your time and the amount of it you are likely to save by using the platform for all your marking. I hope you and your students enjoy using Epigrammar and that it doesn't just save you time, but also increases the overall impact of your marking. You can find more tools like this and advice on how to train teacher to use them in my ebook.